New buildings and workers in the towns of Minecraft. Windmill: inside the mill find a worker who buy and sell seeds, wheat and bread. Fish: we will find a villager who buys and sells fish, feathers and fishing rods. Mina: find a woman selling and buying tools, gems and minerals. Bakery: runned by a local baker who buys and sells bread and wheat. Definitely giving some new different life to the villages of Minecraft is a good idea since villages does not have much activity, except the wandering of the villagers. 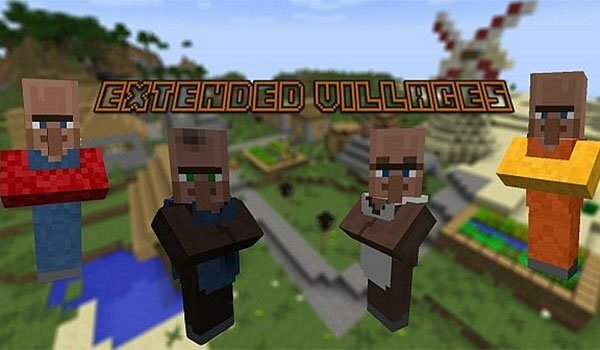 How to install Extended Villages Mod for Minecraft 1.7.10? Duble click to the Forge downloaded file to run forge installer. New villages with new stuff to discover! !